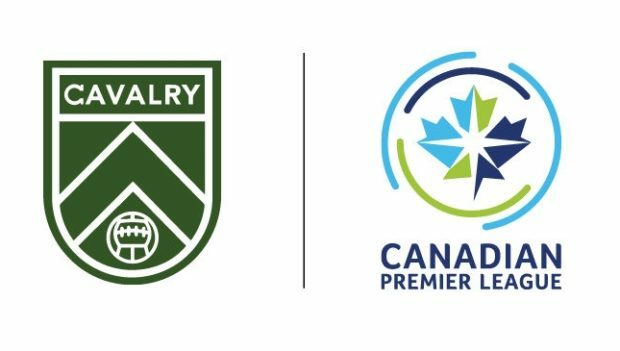 In the spirit of AFTN’s recent piece on Vancouver Island-based players who could – or should – be on Pacific FC’s radar, I wanted to write a similar article highlighting Calgarian players who could make an impact with Cavalry FC. With 11 signings already named by Cavalry, about half the inaugural squad has already been put together. It’s apparent there is a focus on signing local talent. Of those 11 players, five grew up in Calgary, including Dominick Zator, Marco Carducci, Elijah Adegkube, Chris Serban, and Dean Northover. Nik Ledgerwood and Nico Pasquotti are from Lethbridge, but played some of their careers in Calgary, while Carlos Patino grew up in Edmonton. While two of the players below are admittedly likely currently not available, here are four more Calgarians who I think would do a solid job for Cavalry FC at some stage down the line. 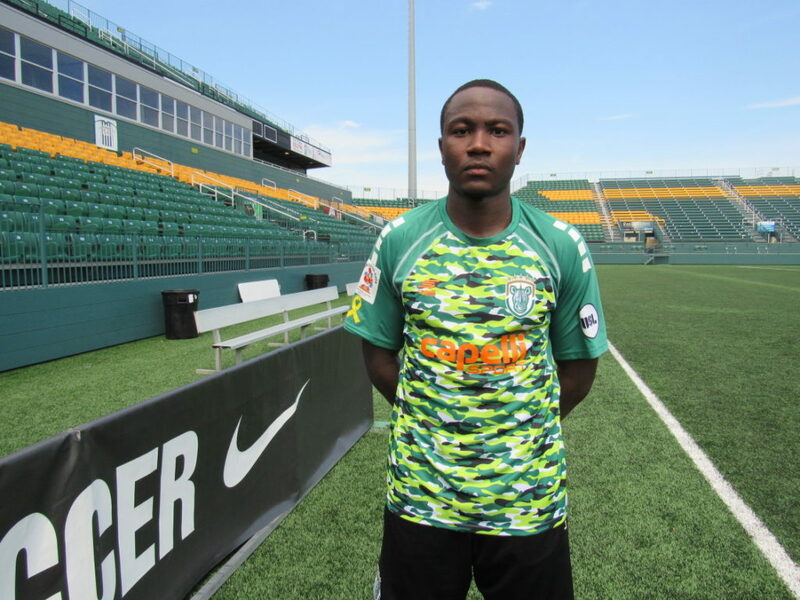 At 20 years old, Falaye would be the youngest player on Cavalry FC’s roster, were he to play in the Canadian Premier League this season. But despite his youth, he has the athleticism and footballing knowledge to still make an impact. Following his youth career in Calgary, Falaye played two seasons with the University of Calgary Dinos in U SPORTS, and quickly established himself as one of the strongest players in the Canada West conference. 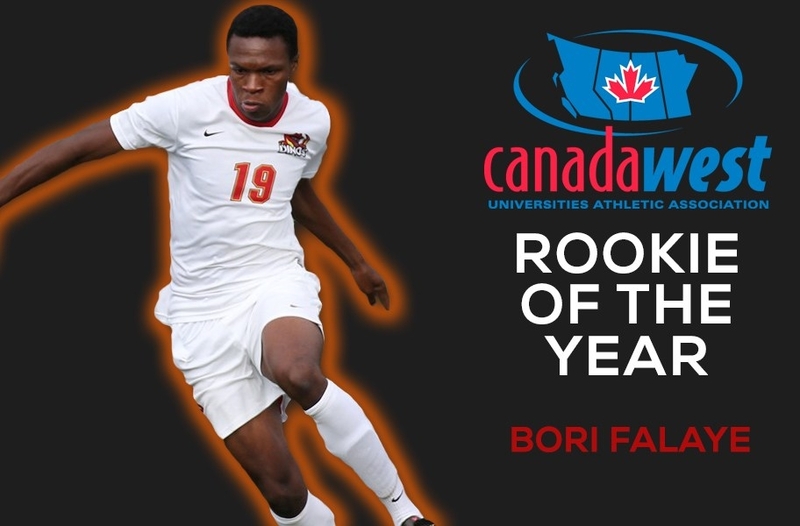 With nine goals and five assists, Falaye was named the Canada West Rookie of the Year in 2016, and earned a second-team All-Canadian nod, to boot. The following year was a re-building season for the Dinos, with the departure of many key players. Though he was still just a second-year player, Falaye took on more of a leadership role in 2017, and led the team in scoring with eight goals and two assists. Falaye only spent two seasons with the Dinos, opting instead to attend trials with professional teams in Europe, the most notable being Borussia Dortmund. I’ve searched on Google, but haven’t found anything with regards to where he’s playing at the moment. I watched a handful of Dinos games when Falaye was on the team. He definitely was a frightening force on the left wing, with a strong ability to take on fullbacks 1v1 and either whip in a cross, or cut in on the inside and release a shot from distance. Even at 18 or 19, he already had the speed and physique necessary to make it as a professional, as well as the technical ability. Following the likes of Owen Hargreaves and Kevin McKenna, Elva is another Calgary talent who made the move to Germany at a young age. He trialled with VfB Stuttgart in 2014, signing a professional contract with the Bundesliga club’s reserve squad when he was 18. After logging 57 games in three seasons with VfB Stuttgart II, he signed with German third-division side Wuerzburger Kickers in September 2018. Now 22 years old, he’s played five games for the Kickers since signing. Apart from a four-month loan spell with third-division French side RC Strasbourg, he’s spent his entire professional career in Germany, playing in either the Regionaliga (Fourth Division) or the German Third Division. He’s also made two appearances and scored one goal for Canada’s U23 national team (with whom he’s pictured above alongside rumoured Whitecaps target Juan Cordova). Considering he just signed for Wuerzburger, he’s obviously not available for Cavalry at the moment (unless it was for a loan spell). But considering the football education he’s been receiving in Germany over the past four years, Elva would be a fantastic edition to Cavalry, as well as the CPL. Kamdem Fewo was born in Paris, but spent his teenage years in Calgary. While the 24-year-old defender has played his entire professional and collegiate career as a left back, he is an adept centre back and versatile enough to play anywhere along the back four. Following his youth career in Calgary, Kamdem Fewo opted to play his college ball in the United States. He spent a year with the Huntington Foresters in the NAIA, before transferring to the University of Nevada Las Vegas Rebels, a Division 1 NCAA team, in his second year. He spent three seasons with UNLV, from 2013 to 2015, and scored four goals in 49 games, as an oft-attacking left back. He also played a summer with Foothills FC during the team’s inaugural PDL season in 2015. Kamdem Fewo’s play for UNLV was noticed by MLS teams, and he was picked in the third round of the 2016 MLS Super Draft by the Colorado Rapids. I believe he is the only Calgarian to ever be selected in the MLS Super Draft. Kamdem Fewo never did suit up for the Rapids, instead signing for Rochester Rhinos in the USL. He spent two seasons with the Rhinos and made 51 appearances, before moving to the Fresno Foxes in 2018. He played all last season with the Californian side, where he recorded three assists in 20 games. He left Fresno in December 2018, and joined St. Louis FC, who announced his signing January 26th, ruling out the CPL for this season, but who knows for 2020 and beyond? Here are some highlights from Kamdem Fewo’s 2018 season in the USL. You can see the powerful runs forward that he makes with the ball, as well as his ability to link up with teammates during an attack. Anyone who’s seen Russo play knows that he scores goals. The 24-year-old is a classic number nine, with a muscular build and a proven ability to put the ball in the back of the net, using whatever means necessary. It appears Russo has hung up the cleats, at least at a non-recreational level, which is unfortunate, as he’d be an ideal local signing for Cavalry FC. Maybe after seeing the CPL in full flow, he’ll be tempted to change his mind. 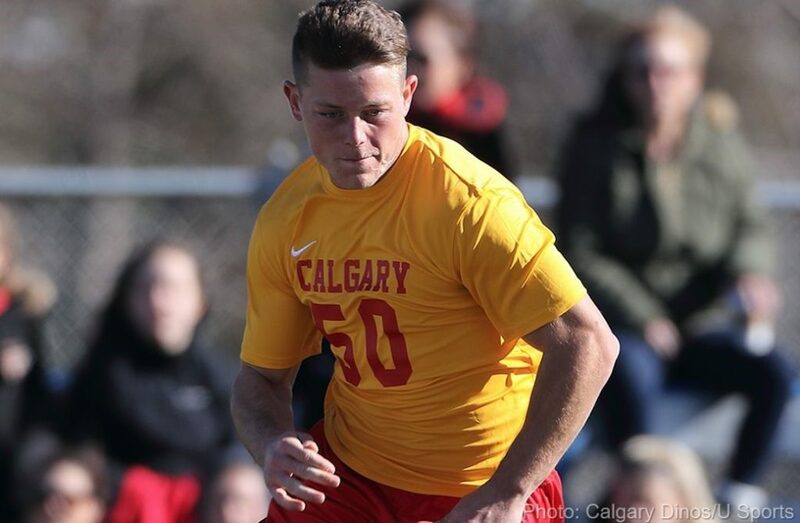 He played for the U of C Dinos from 2012 to 2016, (alongside Cavalry signing Dominick Zator) and notched 40 goals and 19 assists in that time. His last two seasons were his breakthrough years, with 15 goals each in 2015 and 2016. He currently holds the Dinos’ single-season scoring records with those numbers, and I believe he is the team’s all-time leading scorer as well. He was named a first-team All-Canadian in 2015 by U SPORTS, and repeated the honour the following season. Russo also played three summers with Foothills FC in the PDL, and is still the team’s leading goal scorer, finding the net 15 times between 2015 and 2017. He also made the PDL’s all-playoff team in 2016, when Foothills made it all the way to the championship game in just their second season. While he never played professionally, Russo did train with Oxford United in England for two weeks in 2016, back when Oxford were still playing in League Two. 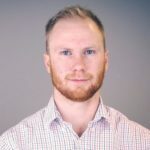 I asked Cavalry FC’s head coach Tommy Wheeldon Jr. about Russo, and he said that he’s pursuing a career in business, rather than professional soccer. A Google search shows he was still playing at a high amateur level last summer in the Alberta Major Soccer League and is currently the leading goal scorer in Calgary’s top indoor soccer league this season. Any Calgarians we missed out and you feel are worth a look? Let us know below.